WAIST HIGH: Beauty And The Beat 30th Anniversary Edition To Be Released May 17. Beauty And The Beat 30th Anniversary Edition To Be Released May 17. 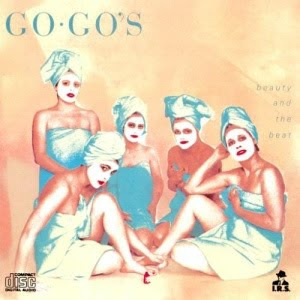 From gogos.com: The Go-Go’s double platinum debut album, Beauty and the Beat, has been digitally remastered and expanded for a 30th Anniversary Edition to be released May 17 by Capitol/I.R.S. The commemorative edition will be available in a 2CD package and in two digital collections featuring the remastered original album plus exclusive, previously unreleased concert audio recordings from 1981. On the same date, the remastered original album will be reissued on pink vinyl with replicated original artwork.